Freshly juiced fruit has become a staple in many diets – especially those of busy, health-conscious consumers who can save time on making (and perhaps even chewing) their food without missing out on nutrients. Fruit juice also has been linked to claims that it can help you both lose weight, and ‘detox’ your system. All of which, of course, has made it highly lucrative. The global fruit and vegetable juices market was valued at $154 billion (£123bn) in 2016 and is expected to grow. But is juicing really as healthy as we think? Most foods containing fructose – a naturally occurring sugar found in all fruits and fruit juices – don't seem to have harmful effects as long as they're not contributing to excess daily calories. This is because the fibre found in whole fruits is intact, and the sugar is contained within the fruit's cells. It takes our digestive system a while to break these cells down and for fructose to enter the bloodstream. But this is not the case with fruit juice. “Fruit juice has most of the fibre removed,” says Emma Elvin, senior clinical advisor at the charity Diabetes UK. This is why, unlike whole fruit, the fructose in fruit juices counts as ‘free sugars’ – which also include honey and the sugars added to foods. It’s recommended by the World Health Organisation that adults have no more than 30g of added sugar, the equivalent of 150ml of fruit juice, per day. (Read more in our recent story about whether sugar really is bad for you). The problem is that, with the fibre removed, fruit juice’s fructose is absorbed more quickly. Sudden spikes in blood sugar cause the pancreas to release insulin to bring it back down to a stable level. Over time, this mechanism can wear out, increasing the risk of developing type 2 diabetes. In 2013, researchers analysed the health data of 100,000 people collected between 1986 and 2009 and found that fruit juice consumption was linked with increased risk of type 2 diabetes. They concluded that – since liquids pass through the stomach to the intestine faster than solids – even when the nutritional content is similar to whole fruit, fruit juice leads to faster and larger changes in glucose and insulin levels. Another study found a relationship between fruit juice and type 2 diabetes after following the diets and diabetes status of more than 70,000 nurses over 18 years. 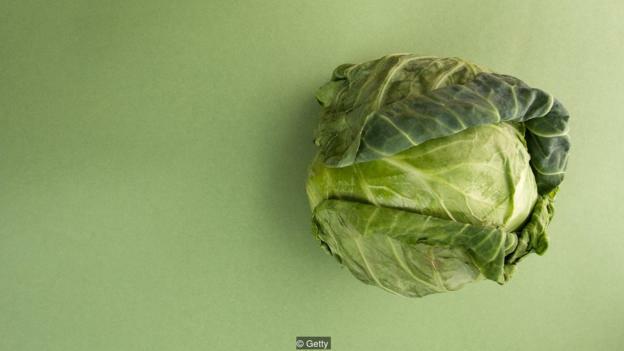 The researchers explain that the possible reason for this may partly have been the lack of the other components found in whole fruit, like fibre. 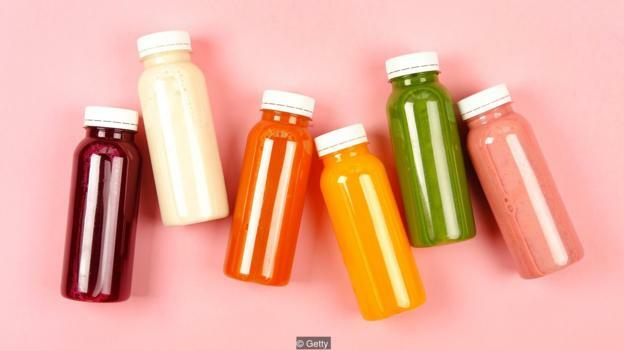 Juices containing vegetables can provide more nutrients and less sugar than juices made up of just fruit – but they still lack valuable fibre. Diets high in fibre have been linked to a lower risk of developing coronary heart disease, stroke, high blood pressure and diabetes, and it's recommended adults consume 30g per day. Aside from the link to type 2 diabetes, many studies agree that fruit juice is harmful if it contributes to an excess in calories. In an analysis of 155 studies, John Sievenpiper, associate professor at the University of Toronto's Department of Nutritional Sciences, set out to understand if the associations between sugary soft drinks and health – including risk of diabetes and cardiovascular disease – were applicable to the food and drink we generally consume as part of a healthy diet. He compared studies looking into the effects of fructose-containing sugars (including sucrose, high fructose corn syrup, honey and syrups) with control diets free from or lower in these sugars. His aim? To isolate the effects of consuming too many calories from the effects of foods containing different sugars. He found negative effects to fasting blood sugar and insulin levels when food provided excess calories from sugars, including fruit juice. However, when the calories weren't in excess overall, there were some advantages to consuming whole fruit – and even fruit juice. Sievenpiper concludes that the recommended 150ml of fruit juice per day, which is an average serving, is reasonable. The paper concluded that foods containing fructose may have some small benefits for long-term blood sugar control when they don’t lead to over-consumption of calories. But when they do lead to too many calories, they risk raising blood sugar and insulin levels. This could be because fructose has a relatively low GI, the paper states, while high GI diets are associated with insulin resistance. "Getting a whole fruit is better than fruit juice, but if you're going to use juice as a complement to fruits and vegetables, that's fine – however, not if you're using juice for hydration and drinking large amounts," Sievenpiper says. So while we know that fruit juice can cause diabetes if it’s part of a diet that’s more calorific overall, it's less clear how juice affects the long-term health of those who aren't overweight. "There's still a lot we don't understand about how having increased sugar in the diet without weight gain changes risk," says Heather Ferris, assistant professor of medicine at the University of Virginia. "For how long and well the pancreas can keep up with the sugar is partly down to genetics." But we have a higher risk of consuming more than the recommended daily number of calories (around 2,000 for women and 2,500 for men) on the days we drink juice, according to research. Numerous studies have shown that drinking fruit juice doesn't make us consume any less of other foods throughout the day. “It’s also easy to consume large amounts of fruit juice quite quickly, meaning extra calories. And when calories increase, this can contribute to weight gain,” Elvin says. But one study published last year may have found a way to make juicing healthier. Researchers used a 'nutrient extractor’ blender that, unlike traditional juicers, juices the whole fruit, including seeds and skin. They measured the effects of mixed fruit and peeled mango – both of which rank highly on the glycaemic index and therefore cause a spike in blood sugar – juiced in a nutrient extractor blender, compared with another group who ate the same fruit whole. Those who drank nutrient-extracted mixed fruit had a lower blood sugar increase compared with the whole mixed fruit group, while there were no differences between those who had mango juice and whole mango. However, this was a small study, and the researchers didn’t compare their findings with juice made by any other method, such as squeezing out the juice and leaving the skin and seeds. Gail Rees, senior lecturer in human nutrition at the University of Plymouth and researcher on the study, says the findings were probably caused by the fruit seeds contained in the juices. But she says it’s difficult to offer clear advice from this study. "I'd certainly go along with the current advice of 150ml of fruit juice per day, but if you do use a nutrient extractor at home, it could be keeping blood sugar levels relatively stable," she says. But while keeping seeds in the juice may make some difference during digestion, Ferris argues this doesn't necessarily change how filling the juice is. "When the juice includes some fibre it will slow down absorption, but you still have excess calorie intake because it's easy to consume. However, it's an improvement over traditional fruit juice," she says. Other ways we can improve the effects of fruit juice on our health include making sure we select ripe fruit to retain as much of its goodness as possible, according to Roger Clemens, professor of pharmaceutical sciences at the University of Southern California. 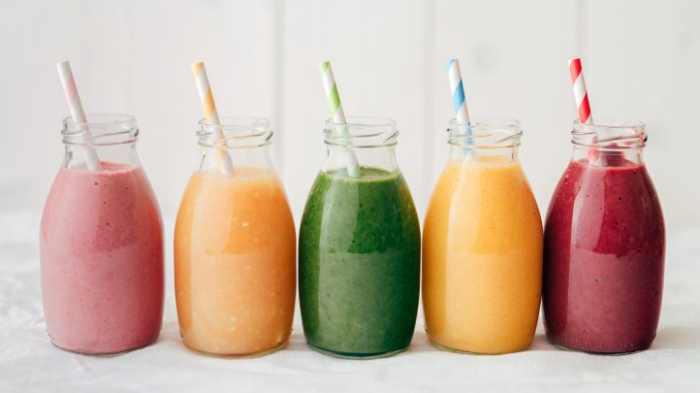 It's also important to recognise that different juicing methods are better suited to different fruit because of their physical make-up, Clemens has found. For example, most of the phytonutrients in grapes are found in the seed, with very little found in the pulp. And most of the beneficial phenolic and flavonoid compounds found in oranges are located in the peel, which is lost with traditional juicing. Another reason for fruit juice's recent popularity is the argument that it can help to detox the body. However, the only medically recognised use of the word ‘detox’ refers to removing harmful substances from the body, including drugs, alcohol and poison. "The whole concept of a juice diet being detoxifying is a fallacy," says Clemens. "We consume compounds every day that may be toxic and our bodies do a wonderful job of detoxing and eliminating everything we eat." And juice isn’t a cure-all for getting your nutrients, either. "There are a lot of nutrients contained in the parts of the fruits, such as in apple skins, that are excluded when you juice them,” says Ferris. “You end up with sugary water with some vitamins." Plus, she adds, it’s not an ideal way to reach the advised ‘five a day’. "People try to get five servings of fruit and vegetables per day and don't realise this isn't just about getting vitamins,” she says. 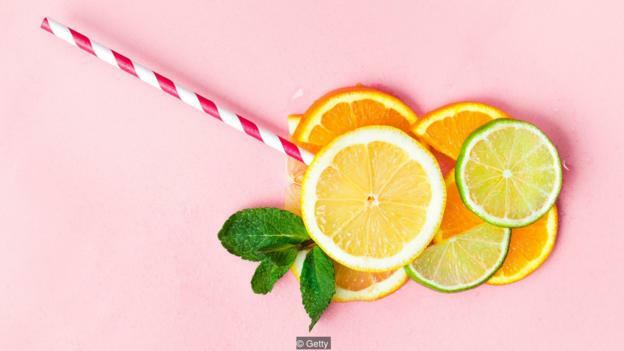 “It's also about reducing the amount of grain carbs and protein and fats in our diet, and increasing fibre.” So while fruit juice is better than no fruit at all, there are limits. It particularly comes with risks when we consume more than 150ml of free sugars per day, or when it puts us over our recommended calorie intake. It provides us with vitamins – but fruit juice is far from a quick fix.